Be the first to share your favorite memory, photo or story of Carolyn. This memorial page is dedicated for family, friends and future generations to celebrate the life of their loved one. Carolyn Ann Davis went to be with the Lord on June 8, 2018 after struggling with pulmonary fibrosis for several years. She passed peacefully surrounded by her family at her home of 18 years in Flower Mound, Texas. Carolyn was 73 years old. Carolyn was born March 27,1945 in Gunter, Texas. 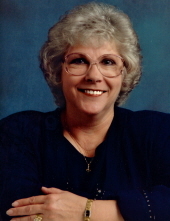 Carol was a retired banker and a member of First Baptist Church of Dallas. She was a devoted wife and loving mother with a strong devotion to the Lord, always encouraging others to believe in Christ. Carol loved to travel and spend time with her family. Carolyn is survived by her husband of 28 years, Bob Davis, son, Jimmy Don Combest and his wife Marti, daughter, Susan Tanner and daughter, Karen Paramore, three siblings, Ruby Butler, Mary Richardson and Linda Pecina, as well as four grandchildren, Sydney Tanner, Madison Tanner, Jake Combest and Dillon Combest. She is preceded in death by her parents, Homer and Isabel (Arrington) Cunningham. Carol is now asleep in Christ Jesus our Savior. A funeral service will be held at 2:30PM Tuesday, June 12, 2018 at Scoggins Funeral Home Chapel, the family will receive friends Monday, from 6:00PM to 8:00PM at the funeral home. You may sign the online register book at www.scogginsfuneralhome.com. Services are under the direction of Scoggins Funeral Home & Crematory, 637 W. Van Alstyne, Pkwy. Van Alstyne, TX; 75495. 903-482-5225. To send flowers or a remembrance gift to the family of Carolyn Ann Davis, please visit our Tribute Store. "Email Address" would like to share the life celebration of Carolyn Ann Davis. Click on the "link" to go to share a favorite memory or leave a condolence message for the family.